9 Nexstar Broadcasting, Inc. All rights reserved. This material may not be published, distributed, rewritten or redistributed. CRANBURY, NJ (WKRN) – Irbesartan and Irbesartan HCTZ tablets are withdrawn by Prinston Pharmaceutical, Inc. The voluntary recall comes after trace amounts of N-nitrosodiethylamine (NDEA) have been found in pills. NDEA is associated with cancer. These drugs are used to control high blood pressure and treat heart failure. 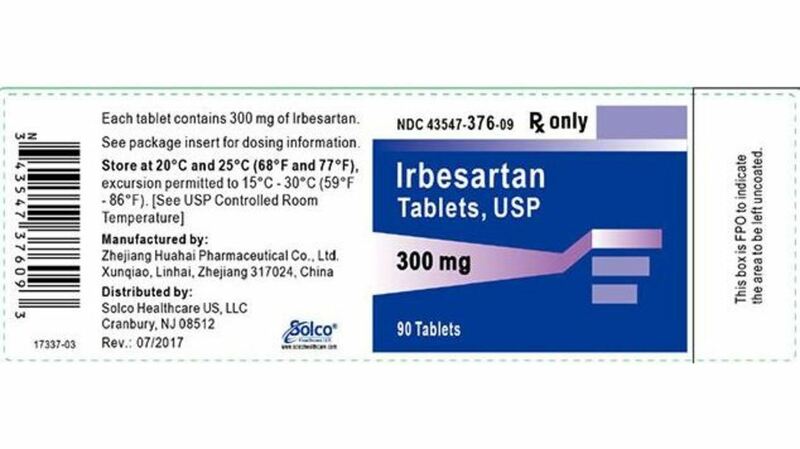 There are 7 lots of Irbesartan HCTZ involved in the recall. Click here for the complete list. According to a press release from the company published on the FDA website, NDEA occurs naturally in some foods, drinking water, air pollution and industrial processes. It has been classified as a likely human carcinogen by the International Cancer Research Agency. Patients taking Irbesartan and Irbesartan Hydrochlorothiazide should contact their doctor or pharmacist for alternative treatment.